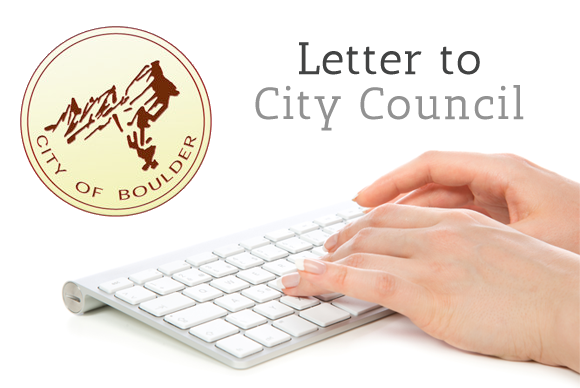 Better Boulder offers the following position on proposed changes to the ADU ordinance. The ordinances changes drafted by staff are a good starting point, and help to remove some of the barriers that have discouraged ADUs and OAUs in the community. Instead of increasing the saturation limit from 10-20%, simply remove all saturation limits. To the best of our knowledge, no other town imposes such a limit, and there seems to be no compelling reason to impose such a limit. Remove off-street parking requirements in all neighborhoods, including those with NPP programs. NPP programs already create a mechanism for managing parking issues in those neighborhoods. In practice, imposing off-street parking requirements makes neighborhoods less attractive by paving over green space; and in many cases the creation of an additional curb cut will remove an on-street parking space. While we support lowering the minimum lot size, we would propose eliminating any minimum lot size requirement, and allowing ADUs/OAUs anywhere a single family home is allowed. Lot size requirements seem very discriminatory, since people with less wealth are more likely to live on small lots. Eliminate the 300 foot minimum size requirement for OAUs, in order to allow tiny houses to be used as OAUs. While we support removing the 2 person occupancy limit, a better approach would allow both the main unit and the ADU/OAU to have the underlying occupancy of the district. It is very difficult so see why, for example, we would want to evict the tenants of an ADU in a situation where a family of three lives in the main house, a couple lives in the ADU, and the couple has a child. Only require rental licensing if the unit is rented. There will be cases where an ADU or OAU is used by relatives, with no rent involved, as in the case of children or elderly relatives living in the unit. One very odd requirement in current code is that the entrance to an ADU not be visible from the street. This seems to imply that ADU residents are second-class citizens, who should be hidden from view. There seems to be no compelling community benefit to hiding the entrance, and we suggest this restriction be removed. In some neighborhoods, Homeowners associations may prohibit accessory units. The city code should invalidate HOA restrictions on ADUs and OAUs. There is extensive evidence to show that these units are naturally affordable. City regulations attempting to do rent control, or income qualification of residents, would be counterproductive, as they would serve as a deterrent to the creation of ADUs and OAUs.